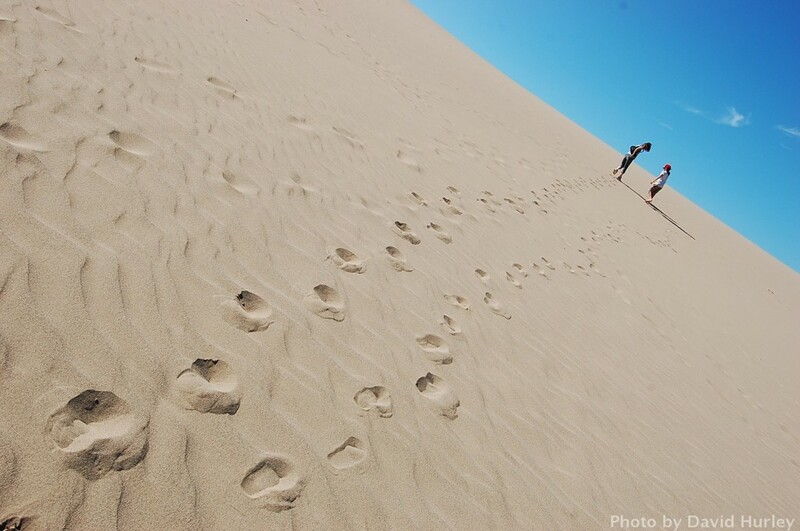 H & E walking up the Tottori sand dune. 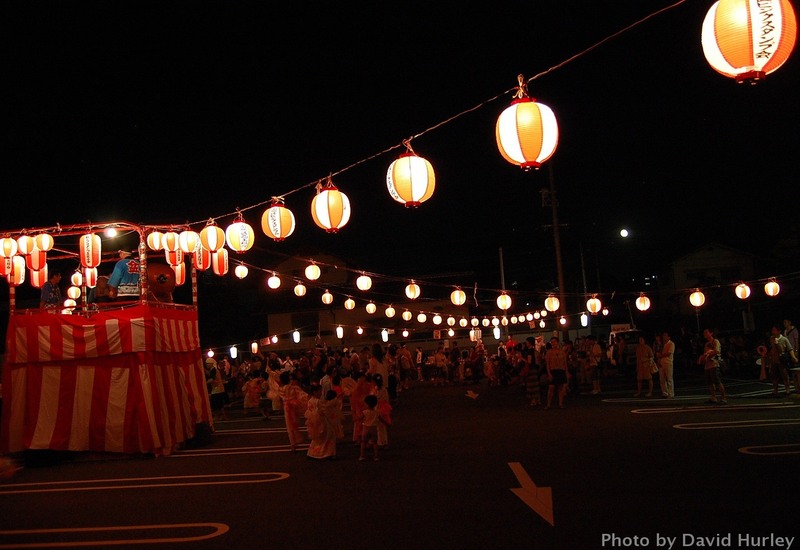 The moon rises between the lanterns towards the end of the Obon Matsuri, Rakurakuen, Hiroshima. 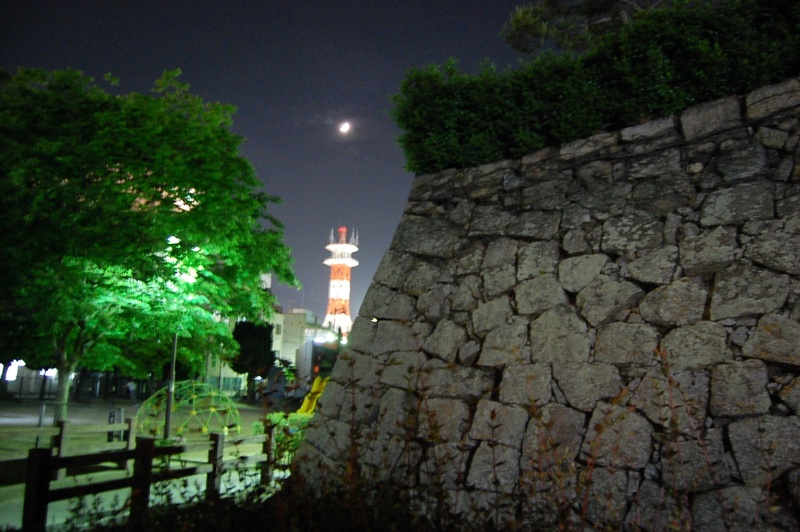 The moon rising above a radio tower behind Mihara Castle. On Monday 23rd April we went to the Hiroshima Mint to see the “double blossom” cherry trees – Yaezakura – in full bloom. 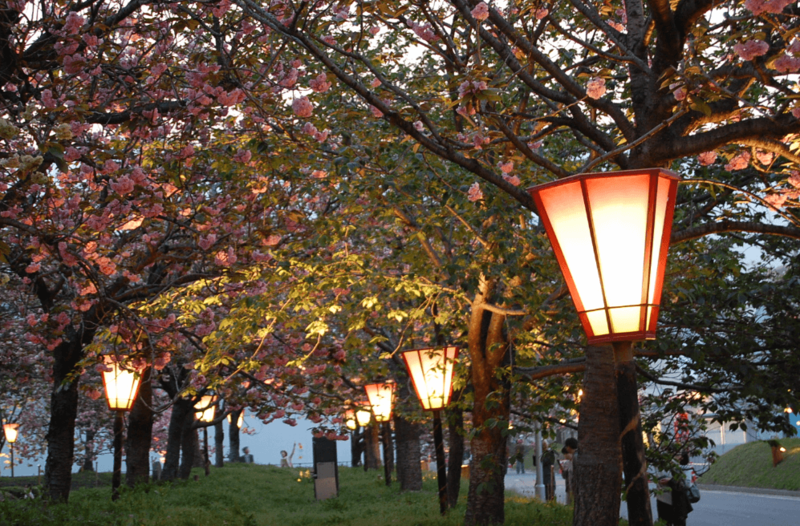 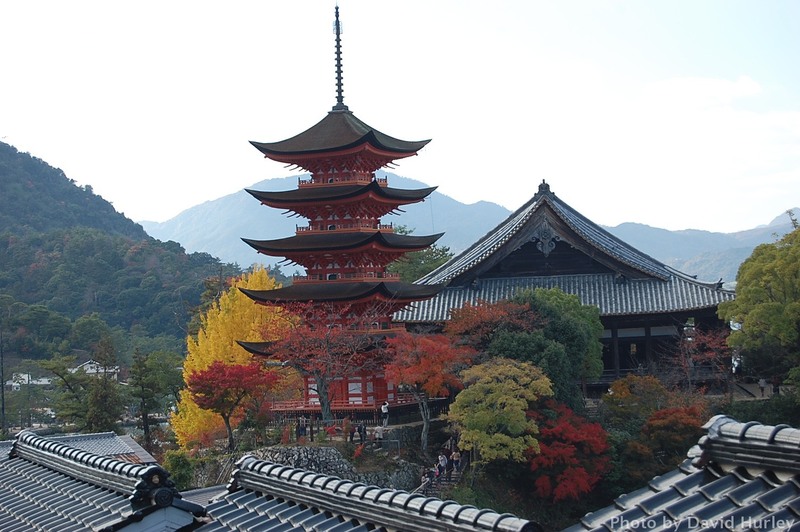 The Hiroshima Mint throws open its garden to visitors when the cherry trees are in blossom and as the sun goes down lanterns are lit between the trees. 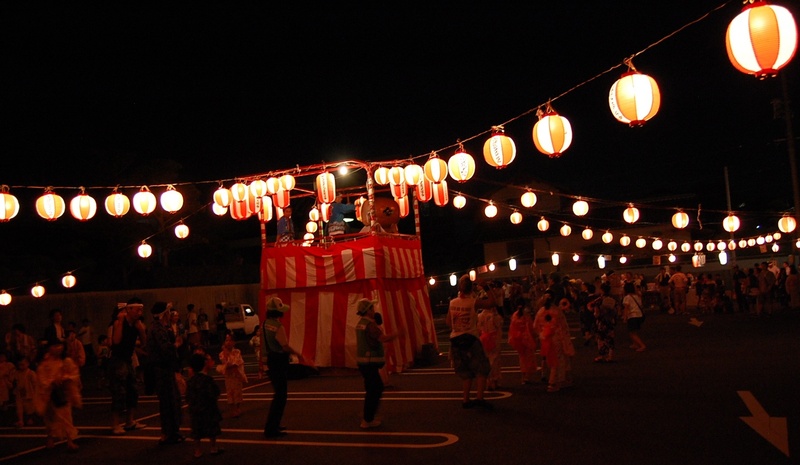 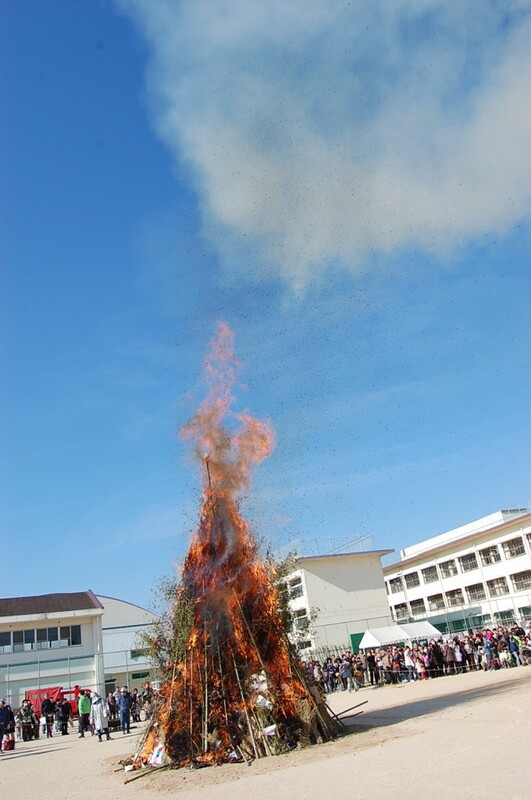 The Tondo Matsuri at an elementary school in Hiroshima gets under way. 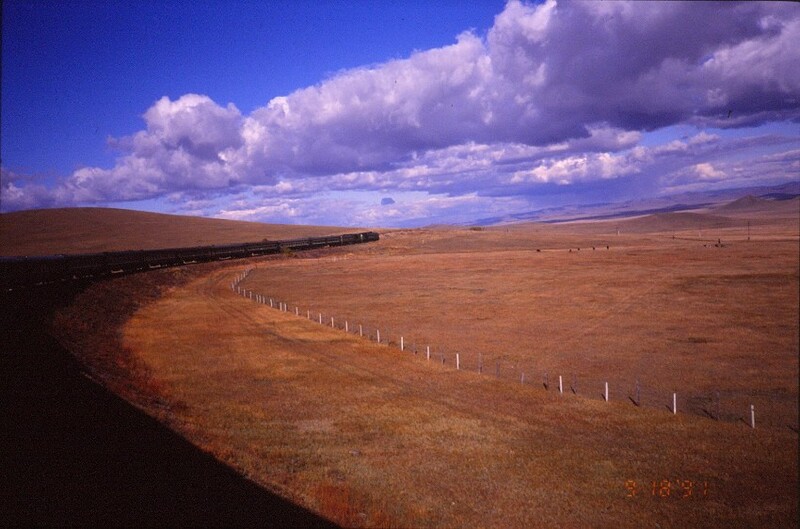 Heading for Ulaanbaatar, September 1991.